What Is a Bunya Pine? The bunya pine, or Araucaria bidwillii, is famous for its huge cones and its delicious seeds. It's a relative of the monkey puzzle tree. Like its relative, the bunya pine is an evergreen conifer that has an unusual branching pattern, strange leaves, and edible seeds inside a large cone. Even the smaller female cones are the size of a bowling ball. Some can be as large as a person's head, or even bigger. It's actually dangerous to be under a tree when it's dropping its cones. The bunya pine tree is native to Queensland in northeastern Australia and belongs to the family Araucariaceae. The family was widespread in the Jurassic and Cretaceous periods. Its members existed in both the northern and southern hemisphere and coexisted with dinosaurs. Today the family is restricted to the southern hemisphere, except for cultivated specimens, but its members still have unique features that are sometimes described as "reptilian". Based on its common name, we might assume that the bunya pine is a type of pine tree. This isn't the case, however. The bunya pine belongs to the family Araucariaceae. Pine trees belong to the family Pinaceae. Both families belong to the order Pinales, so they are distant relatives. A bunya pine tree may reach a height of 45 meters (almost 148 feet) and a diameter of 1.5 meters (a little over 4 feet). The thick and sturdy trunk is very straight and is brown to black in color. It has a horizontally furrowed bark. In older trees the furrows may be deep. The trunk is often said to resemble the leg of an elephant or a dinosaur in appearance. The branches of a bunya pine have a strange appearance. They are arranged around the trunk in whorls. They are bare except for a dense tuft of small secondary branches at their tips, which bear spiky leaves. The immature tree is shaped like a pyramid. 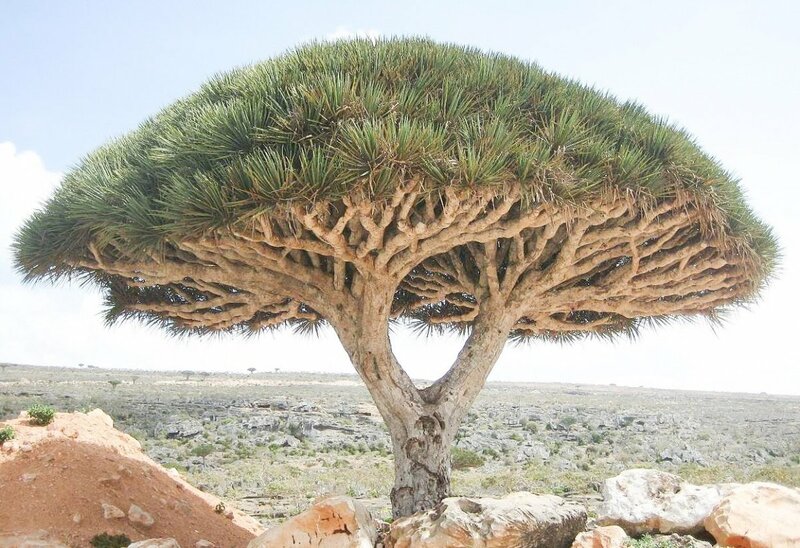 As it matures, it loses some of its lower branches and develops a dome-shaped crown at the upper part of the trunk. After the lower branches drop, shorter whorls of branches often develop from dormant buds below the domed crown. This sometimes gives the tree a two-tiered appearance. Like the trunk and branches, the leaves of the bunya pine are unusual. They are arranged in multiple rows that surround a branch and may overlap each other. The leaves are stiff and pointed. The prickly points can be very painful when they jab into the skin. On younger branches the leaves are arranged in two opposite rows instead of in multiple rows. The leaves of a bunya pine resemble those of a monkey puzzle tree but aren't identical. 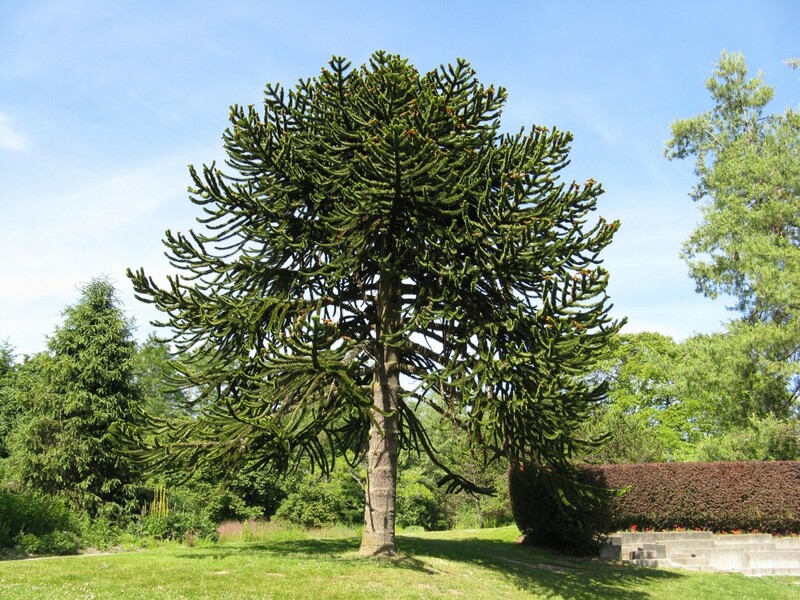 The leaves of the monkey puzzle tree are roughly triangular in shape with a pointed tip and a wide base. Those of the bunya pine have a pointed tip and a tapered base. Both leaf types are sometimes likened to a reptile's scales. The bunya pine produces a high quality, light yellow wood. The wood is useful for making furniture and for constructing musical instruments such as acoustic guitars. Male and female cones are borne on the same tree. A tree bearing mature female cones is potentially very dangerous. The cones weigh ten to fifteen pounds or sometimes even more. They are often said to resemble dark green pineapples. Bunya pine cones are generally larger and heavier than pineapples, however, and they have the added danger of falling to the ground from a height. Some public gardens barricade the area around the trees when the female cones are dropping, since a blow from a cone could be deadly for visitors. Unlike the female or seed cones, the male or pollen ones are long and slender. They have a much smaller mass than the female cones. Their pollen grains are carried by wind to the seed cones. Pollination occurs in September and October. The seed cones fall to the ground in December to March, but not in the months immediately following pollination. The cones drop and the nuts are ready to extract about seventeen months after pollination occurs. The cone of a bunya pine contains fifty to a hundred and fifty "nuts", although these don't have the same structure as the nuts of a flowering plant. Each nut is enclosed by a thin covering of tissue, or husk, which can be easily removed. Once this is done, the seed coat or shell of the nut must be opened with a nutcracker or hammer to reveal the large and very tasty seed inside. I've never tasted a bunya pine seed, but it reportedly has a delicious, nutty flavour. The seeds can be eaten raw but are often boiled—sometimes in brine—or roasted. They are also steamed, fried, and baked. The roasted seeds are said to taste like chestnuts. The seeds are high in carbohydrates and low in fat. A tree doesn't produce seeds until it's fourteen to twenty years old. Bunya pine seeds generally take a long time to produce an aerial shoot. The shoot may not appear until several months to well over a year after a seed is planted. 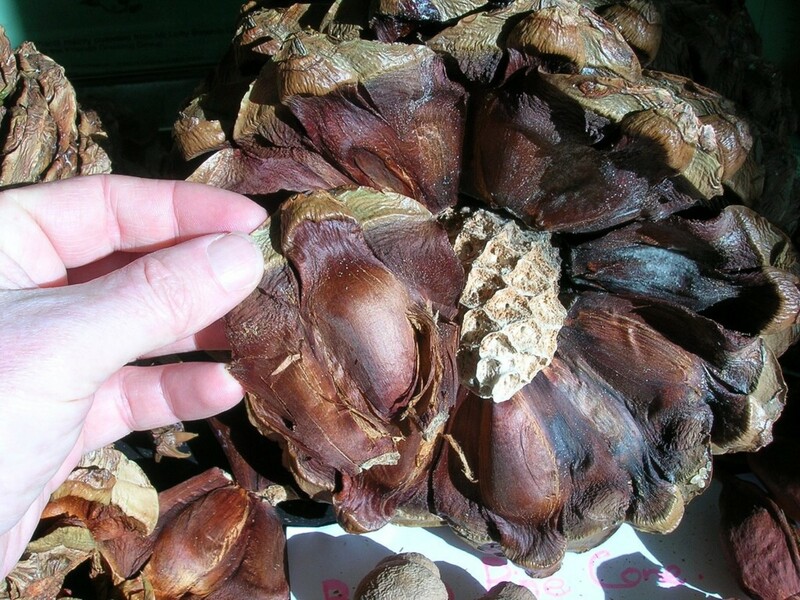 Bunya pine nuts are a wonderful food resource that often goes unused. A growing number of people are becoming interested in the nuts as bushfood, however. Bushfood is also known as bush tucker. It was originally collected or hunted in the wild by the indigenous people of Australia. Collecting bushfood is a similar idea to the process of foraging in the wild areas of North America. When nuts are available, they're sold at roadside stands in some parts of Australia. The seeds inside the nuts can either be eaten whole or ground to make a flour or paste. The flour is used to make pancakes, breads, cakes, and other baked products. The aboriginal people of Australia once considered bunya pines to be sacred plants. 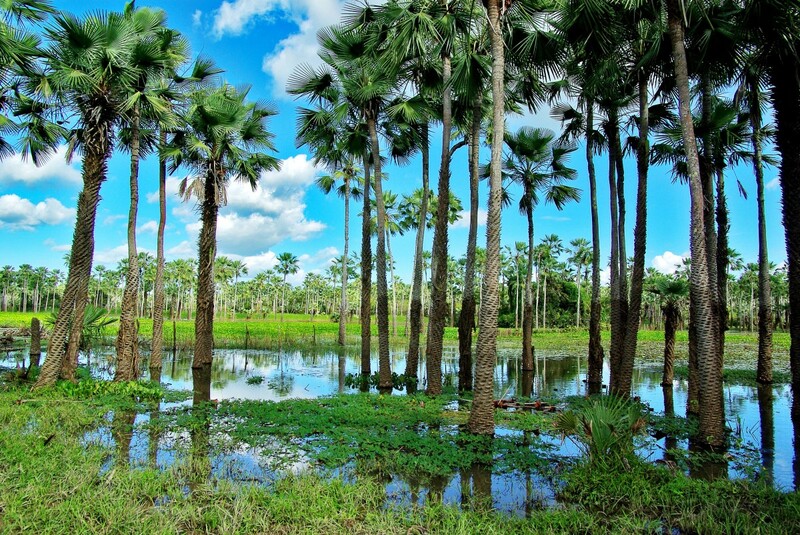 The trees were so important to their culture that cutting one down was illegal according to their laws. Every three years, when the yield of nuts peaked, huge numbers of indigenous people would gather to celebrate the harvest and feast on the nuts. The event was traditionally held in the Bunya Mountains of Queensland. The local people collected the nuts and either cooked them right away or stored them underground to improve their flavor. The gathering was also used for socialization between different groups and for important events, such as trading and the arrangement of marriages. Tribal differences were temporarily set aside during the celebration. According to the Queensland Museum, the last of the traditional Bunya Gatherings is thought to have been held in 1902. The world's largest population of bunya pines today exists in the Bunya Mountains National Park in Queensland. In recent years, a festival known as Bunya Dreaming has been held in Australia. This event began in 2007. It's a celebration of all things bunya and is held in memory of the older festivals. Many different foods made from bunya seeds are on display. The festival also includes cone gathering activities, husking competitions, weight-guessing events, music performances, story telling events, and displays of art made from cones. A Bunya Dreaming festival was held in January, 2015. According to the event's Facebook page, the nut crop wasn't very good in 2016, so no festival was held in that year. The festival was also absent in 2017. The 2018 and 2019 events were held, however. The tradition appears to be alive and well. The bunya pine grows slowly and lives for a long time—perhaps for five hundred years or more. There is a lot that is still unknown about the plant. The bunya pine is an interesting tree to grow as an ornamental plant and as a source of food. The tree grows slowly, so it's sometimes used as an indoor plant. It eventually needs to be planted outdoors, however. Since germination can take so long, some people prefer to buy a bunya pine as a seedling rather than as a seed. There is a special joy in seeing a seed germinate, but this joy may be postponed for a long time when someone plants a bunya pine seed. The tree prefers full sun but tolerates some cold. It needs to be watered regularly but must be planted in well drained soil. The location for the tree needs to be considered very carefully, since it will grow very tall and could eventually produce heavy and potentially dangerous cones. The area around the plant needs to be protected so that the female cones don't damage property or injure people as they drop. Even though safety precautions are necessary and there is an extended time before plant maturity, growing a bunya pine sounds like a worthwhile activity. The tree is certainly a noteworthy plant. I want to grow bunya pines, but I understand you need males and females. How do you buy a male or a female bunya pine tree? Male and female cones are borne on the same tree. Separate male and female trees don't exist in the species (except perhaps as an abnormality). The female cones are pollinated by wind. There is little information available about the success rate of self-pollination versus cross-pollination, however. Based on what I've read, self-pollination can occur, but cross-pollination (obtaining pollen from a different bunya pine tree) has a higher success rate. Would the bunya tree grow and live in WA state? Eastern WA is dry, and a part of the Sonora desert. I can't say for certain because I'm not familiar with the tree in the United States. I have read several seemingly reliable sources that say that the tree grows well in USDA zones 9 to 11, however. Perhaps an agriculture expert in your area could give more information. 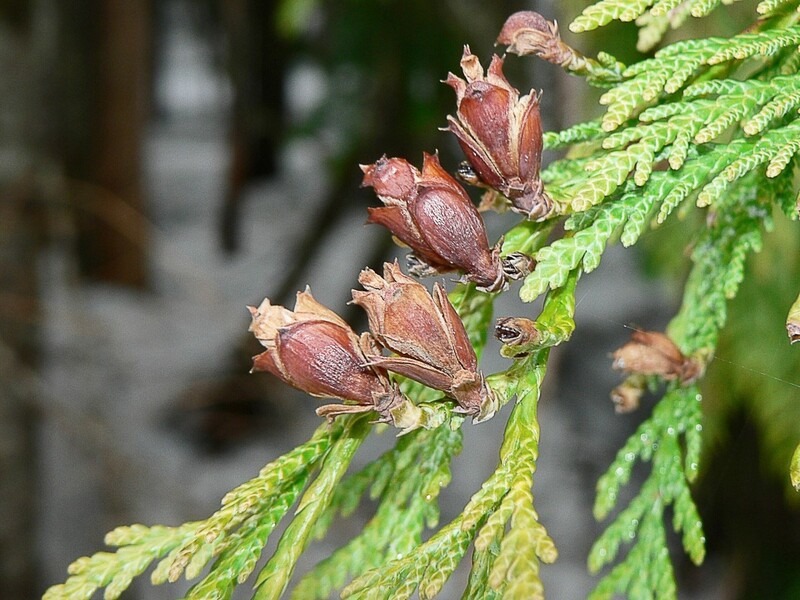 What are the morphological characteristics and chemical constituents of bunya pine? Is the tree used for medicinal purposes? The morphology of the tree is described in the article and shown in the photos. 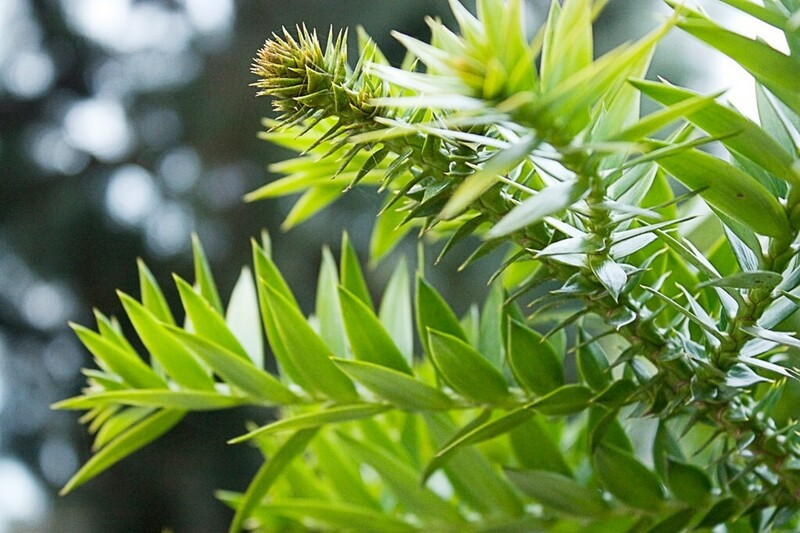 Like other plants, bunya pine contains a huge variety of chemicals that are too numerous to list. The tree almost certainly contains chemicals that haven't been discovered in the plant yet. This relates to your third question. As far as I know, the tree isn't used medicinally, and researchers haven't discovered medicinal chemicals in it. That doesn't mean that the substances aren't present, though. Researchers may one day find them. Do people make wooden bowls from the Bunya pine tree? I have a small bowl from the Salvation Army thrift store in Flint, Michigan I suspect may be made from this tree. It's possible; the wood is appreciated by both carpenters and guitar makers. I have seen a few photos of wooden bowls that are said to have been made from bunya pine. I don't know how accurate the claims are, though. Hi, Carol. I don't know of a place that currently sells the seeds or seedlings in Canada. When I did a Google search for "Bunya pine seeds or seedlings for sale in Canada", a U.S. company was shown on the first page of the results. On their website they say that they ship internationally. You could try contacting them to see if they ship the seeds to Canada. Where can you buy seed or seedling to plant in Canada? Hi, Alan. I am afraid that I have no experience with the Norfolk Island pine. 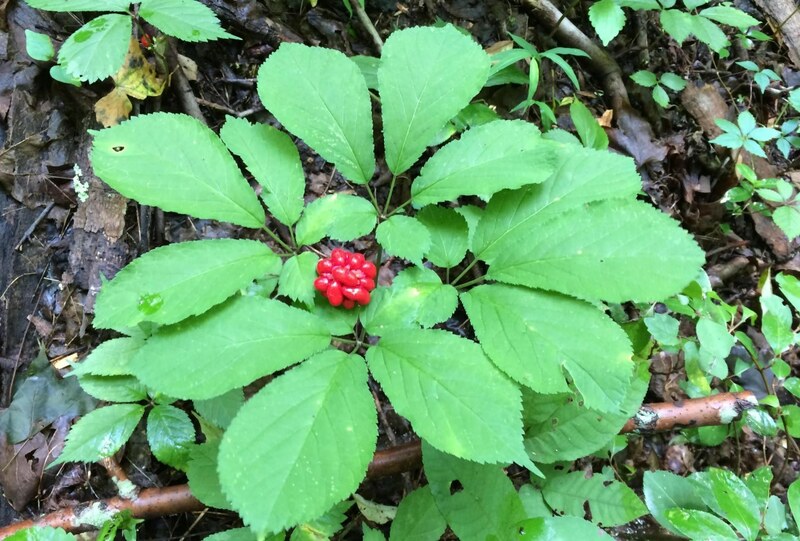 Both the Wisconsin Poison Center and the Illinois Poison Center list the plant as nontoxic for humans. That is not the same thing as saying that the seeds are edible, though. The needles and bark definitely shouldn't be eaten. I have seen some sources that say the seeds can be eaten by humans, but I can't recommend this until I'm certain that it's safe. We have a specimen in the garden which is probably around forty years old [we've only recently moved here], and it has started dropping cones. 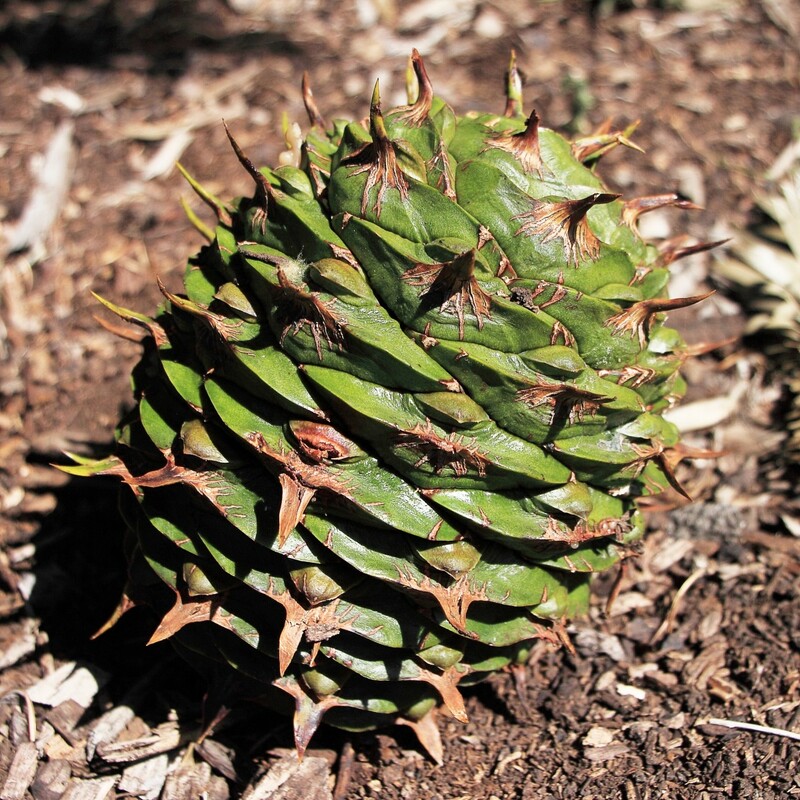 Being naturally curious I dissected the cone and found the seeds and have come across info stating that the needles and bark are toxic - especially to cats and dogs - but that humans can prepare and eat the seeds much like Bunya seeds. Do you know if this is true? Thank you for sharing the interesting story, Philip! Good luck with your bunya pines. I visited the Bunya Mountains a few years ago and was impressed by these magnificent trees.... I wanted to buy some seeds or plants, but there were none available at the time. As luck would have it, yesterday I parked up in the shade, waiting for our dogs to be groomed in town, and a charming elderly lady came up to my ute (pick-up) and advised me to move as this was a bunya tree and it's dropping nuts! I was quite excited, here in town is a bunya tree..... she told me it had dropped some 25 large cones so I asked could I buy one, she laughed and invited me to just take one. Of course I did, and later found this site...excellent reading and information, on the downside, a year or more to germinate, ummmm. Thanks for the comment, Bede. I like the thought of a bunya pine as a bonsai tree! 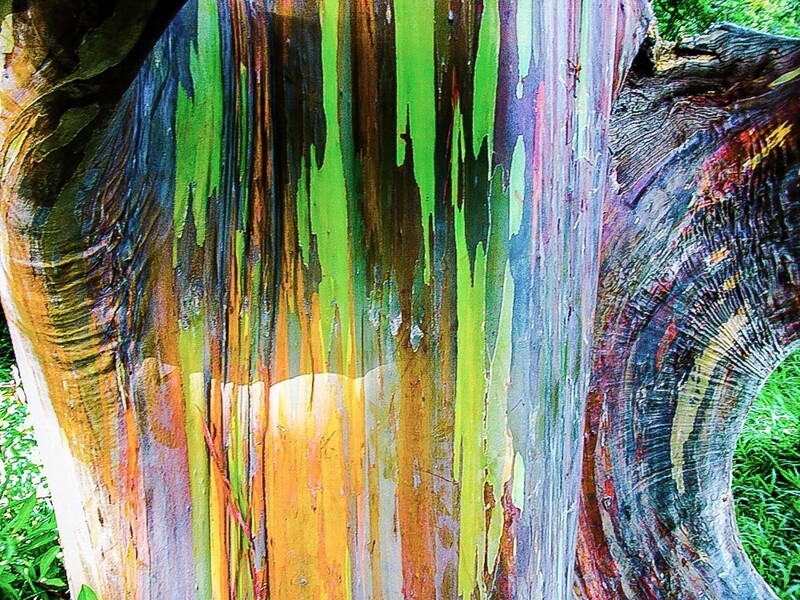 Thanks Linda for this interesting article; I had never heard of this tree. It would be a good tree to turn into a bonsai. I'm sorry to hear about the destruction of the trees, Henk. I wish humans could find a way to construct buildings without chopping down trees or that they planted new trees once the building is completed. Planting sometimes happens, which is great. The problem is that some trees take many years to grow. I saw a nother tree in our town.Sad to say this week I found this beautiful tree also being chopped to make space for new development. Thank you for the visit, VioletteRose. I think that the bunya pine is very interesting, too! Odd things interest me too, Nancy! Thank you very much for such an interesting comment. Now I want to eat some of the seeds of the Banya tree! I'd also like to grow a tree as an indoor plant and see how it does, before putting it out in our harsh summer heat. I've always loved finding out about unusual things from other countries, and this was a top enjoyment for me.As an ironice footnote, AliciaC, the largest and oldest trees in the world (Sequoia sempervirens) have a tiny little pine cone you could hold in the palm of your hand, close your hand and it would never be seen. Odd things really pique my interest it seems. I love the image of a squirrel trying to eat a bunya pine seed! I appreciate your visit and comment, Lady Lorelei. I have always lived around pine trees but have never heard of this one. That is a pine cone find that would send our Canadian squirrels into heaven lol. What a delightful taste of tree trivia. Thank you very much for the comment, Deb. Yes, both the cones and the seeds of the bunya pine are impressive! It's an interesting tree. Such a beautiful and unusual tree. I certainly have never seen cones that large or as weighty. Those seeds are nothing to sneeze at either. Nice work, Alicia. I always look forward to your unusual, educational material. Thank you very much for the comment, the vote and the congratulations, stuff4kids! Yes, the koala bear isn't really a bear. Common names for plants and animals can be very confusing! Awesome hub! An extraordinary tree, indeed. I was especially interested in the aboriginal regard for the Bunya and the fact that it isn't a pine, despite the name. I think that applies to Koala bears, too, doesn't it - that they're not actually bears? Thank you very much for the comment and the congratulations, Heidi! 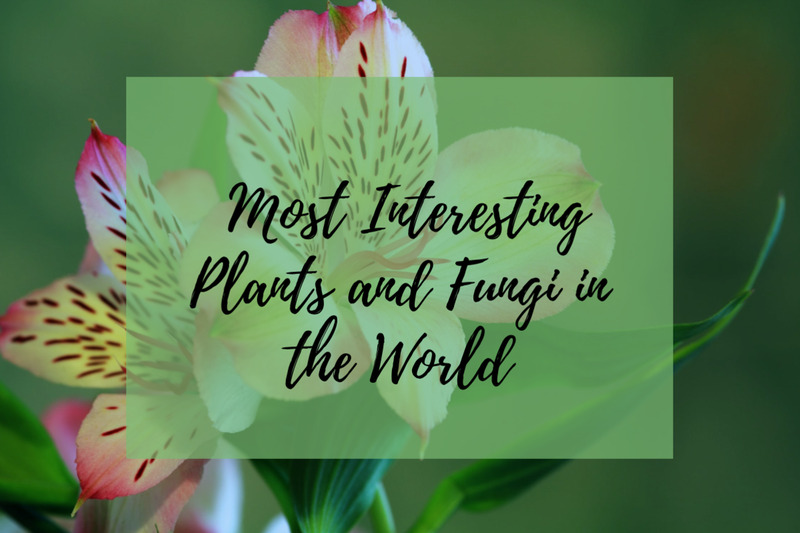 I agree - the bunya pine is a very interesting plant. Thank you, Stella. I appreciate your comment. Thank you very much, thoughtfulgirl2. I LOVE your introduction photo! 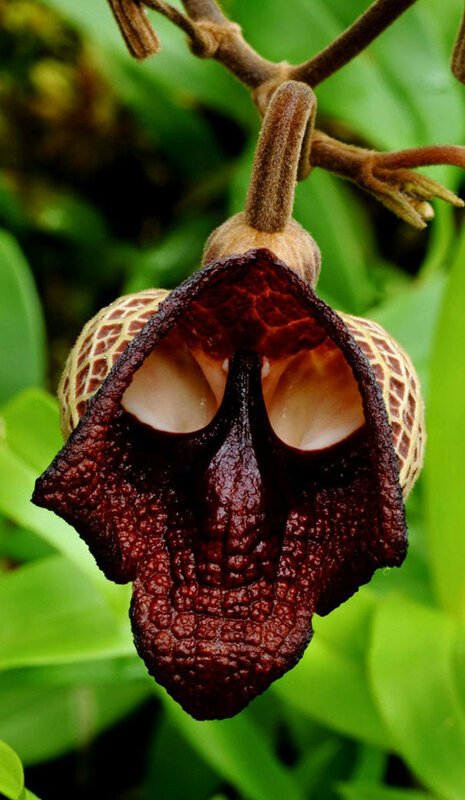 This is a very interesting plant. I am truly amazed at how big the cone is and how long it lives. Thanks for sharing! Congratulations on wining Hub of the Day, too! This wouldn't be very nice, but it might work! Thanks for the visit, poetryman6969. If you could just get your enemies to walk under the tree when the pine cones fall you could take them out! Hi, WriterJanis. Yes, the bunya pine is an interesting plant that can provide a lot of food. Thanks for commenting. This is the first I've heard of this. What an interesting plant this is. It sure would be practical for cooking. Thank you for the lovely comment, Rhonda! I appreciate it very much. That's by far the largest pine cone I ever saw. I love how you included the information on the indigenous people and how the plant factored so highly in their culture. I found this highly informative, interesting and a beautiful page. Well done! Thanks for the visit and for the kind and funny comment, RNMSN! Thank you for the comment and the congratulations, Thelma. The cones are definitely huge! I hope you have a good weekend, too. Thank you very much for the kind comment, SAQIB6608. Wow! That´s a huge thing. Congrats on the HOTD award. I have not seen this Bunya pine tree yet. Thanks for sharing this useful information. Happy weekend! Excellent Article. I just continuously read it. Well Organised. Thank you for commenting, dragonflycolor. The bunya pine is certainly unusual! Very interesting. I did not know such a plant existed! Thanks for the visit and for sharing the great idea, bobtyndall! Those would make great Christmas tree decorations. Paint them up red, green or white. All kinds of possibilities. Thanks so much for the comment and the congratulations, Marlene. I appreciate your visit. This is a fascinating article. I learned a lot about the Bunya Pine tree and now I kind of want to grow one for myself, but the fact that they drop such heavy cones and someone could get hurt scares me from trying. Anyway, I really enjoyed reading. Congratulations on receiving the Hub of the Day award. Congratulations on the HOTD. Very good article! Thank you very much for such a lovely comment, CatherineGiordano! I appreciate your votes as well. A well deserved hub of the day. Beautiful pictures, loads of information, great graphic design, an interesting and unusual topic. I rated interesting and useful and awesome. Thank you so much, Heidi. I appreciate your comment and the congratulations. Thank you very much for the second visit and the congratulations, Flourish! Congrats on Hub of the Day! Well deserved for this beautiful and interesting hub! I'm back to say Congratulations on HOTD! This was an unusual and interesting hub and very deserving. Thank you very much for the visit and the comment, BillyZhang. Thank you for the comment and the congratulations, mySuccess8! Interesting read and cool facts. I learnt something new today. Thanks for sharing. There is wealth of information about this plant which I learn from this Hub. Very clearly explained, and congrats on HotD! Thank you very much for the comment and the pin, Peggy. I appreciate your visit. I have seen the monkey puzzle tree in my travels but not this tree...at least to my knowledge. Those pine cones are amazing! Thanks for this most interesting post. Pinning to my trees board. Thank you very much for the visit and the comment, Nell! Yes, the cones can sometimes be amazingly big. They're very impressive. Thanks so much for the kind comment, Mel. I wouldn't want to fall asleep under a bunya pine either! Another outstanding natural history lesson. I wouldn't want to take a nap underneath one of these because I might not wake up. Great hub! Thank you very much for the visit and the comment, Lady Guinevere. I have never heard of this tree before. Thanks for the interesting information. Thank you, shara63! I appreciate your visit. That's really wonderful ...i've never seen or heard of this strange Bunya pine that bears so huge cones...it's interesting and informative hub...Thankyou! Hi, Dianna. Thank you very much for the visit and the lovely comment! I have not seen cones that big ever! I thought the coconuts here were dangerous! Well, you have written another wonderful and interesting article. THank you for the education. It certainly is! Thanks for the visit, caseymel. Wow! That is a huge pine cone! Thank you very much for the comment, the vote and the share, Cyndi10. The history of the bunya pine and its meaning to aboriginal people is very interesting. It has been and is a very special tree! Hi AliciaC, What an interesting tree! How neat that it was so important to the aborigines they would put aside tribal differences to celebrate the harvest. I imagine you have to really scramble around to gather the cones at harvest time, given the unpredictability of falling cones. Thanks for sharing. Voted up and sharing. I love your description of a bunya pine cone, carrie Lee Night! It is great that the cone can produce so many edible nuts. The tree can be a great source of food. Thanks for the visit. Looks like a dinosaur laid a troll egg ! :). Looks very interesting and unique. Thank you for sharing something new and bless it for being something to eat if need be. Thank you very much for the comment, Cynthia. It is a beautiful tree, even though it can be dangerous at times! Another fascinating hub Alicia and what a beautiful tree. But definitely one to avoid standing underneath when its dropping its cones. Hi, Ann. Thank you for the visit and the comment. It's a good plan to avoid standing under a bunya pine, at least at certain times in the year! Lovely tree and the cones are amazing! Will make sure I never stand underneath one of those! You've given us lots of info on the tree and its varied uses. Really interesting, thanks. Hi, handymanbill. 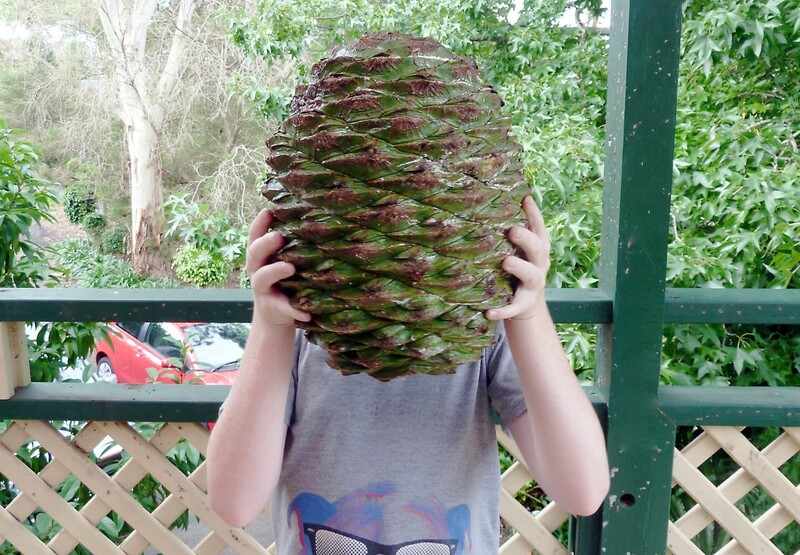 Yes, hard hats would definitely be useful around a bunya pine when the cones are falling! Thanks for the comment. Thank you very much for the comment and the vote, breakfastpop! Once again you taught me something new. I appreciate your work and thanks. Voted up and interesting! Hi, Faith. Thank you once again for the kind comment, the vote and all the shares! I appreciate your support very much. Blessings to you, Faith. Thank you so much for the lovely comment, Flourish. I appreciate the vote, the share and the pin, too! Fascinating tree that I have once again never heard of before, but I can always count on you to educate us. I would love to see one in person, but would not that cone to drop on me! Wow, I am amazed at how huge it is. That is interesting that the seeds are edible. Great presentation and insight you have here as always. This should be another HOTD! What an unusual, well researched hub, supplemented with so many great resources. Voted way up, sharing and pinning! I'm sorry to hear about the damage to the Maine pines, Perspycacious. Harvesting bunya pine nuts would certainly be easy and fun, as long as the tree was growing far enough away from homes, cars and paths! There are a few bunya pines growing on private property near my home in coastal British Columbia, but we don't get very cold winters. I don't know how the trees would do in Maine! Hi, Bill. Thanks for the visit. Bunya pine cones certainly are big! I hope you have a great week, too. Hi Linda. Oh my, that's one big cone, would hate to get hit by one of them. I've never heard of the Bunya Pine, very interesting. Thank you for the education, again. Have agreat week. Thank you for the comment and for sharing the information, Sally! Another fascinating hub about another rather special tree. I saw one of these in the Royal Botanical gardens in Tasmania. Thanks you for sharing. Hi, Buildreps. Yes, the cones and seeds are amazing. I certainly wouldn't want to be near a tree when the cones are falling! Thank you for the comment. 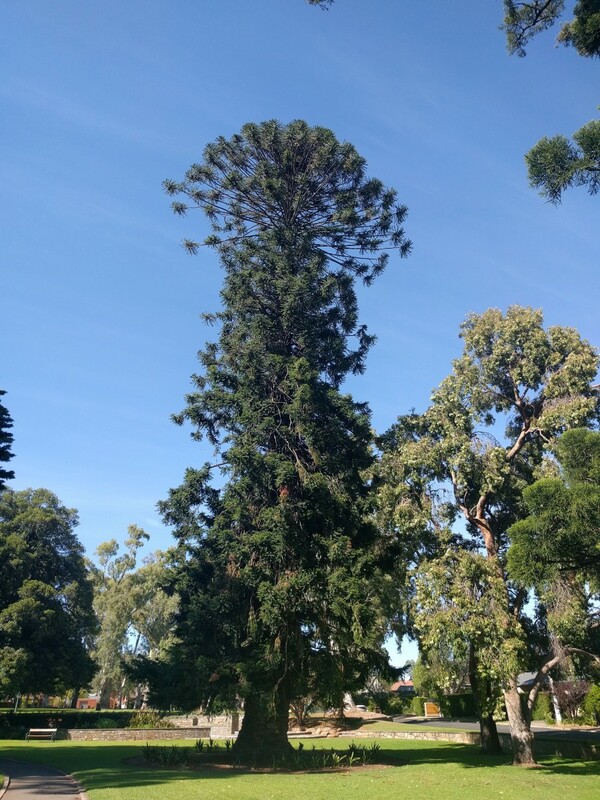 Very interesting article, I've never heard of the Bunya Pine tree. And what an amazing seeds! This must be dangerous indeed when they start to fall. Thanks so much for the great comment, Jodah! How wonderful to live so near to the Bunya Mountains. The market sounds interesting. So does the thought of getting a bucket full of nuts from a cone! Thank you, DDE. I appreciate your comment and the vote! Wonderful hub Alicia. You made HOTD with the Monkey Puzzle Tree so should do the same with this. I remember you saying you were in the process of writing about the Bunya Pine. We live only about an hour from the Bunya Mountains where there are more Bunya Pines than anywhere else in Australia. They are going to have a market there every month so we will be checking that out. We already have a bucket full of nuts that we got from pulling a cone apart. Still have to cook them yet. Anyway, well done. Voted up. I like all the beautiful photos and the nuts are quite big. As usual you are the best in writing on so many different topics. Informative and so helpful in many ways. Voted up! Thank you very much for such a kind comment and for the votes, Venkatachari M! It's a wonderful awesome hub. The Bunya Pine, mostly unknown to most of us. Now, I have a clear cut idea of it. So interesting and amazing tree with nutritional seeds. Thanks for sharing.